This is my introductory "Billy" page. It will probably not be expanded upon to as great an extent as I had once hoped. But, there are many very good res0urces pertaining to this incredibly unique UFO contact case on the net. The above picture of Billy is from September, 2008. His full name is "Billy" Eduard Albert Meier (abbv BEAM). The nickname Billy had caught on early and it stuck. Even the Plejaren ET's themselves often call him Billy. Before you read much further you must understand that I accept the Billy Meier case pretty much as Gospel. There is a lot to say that is positive with regarding his friends, the Plejaren ET's (pronounced Play-YAR-an). By way of Billy, the Plejaren ET's have given us by far, more material than any other ET/Alien contact situation. Michael Horn, the principal U.S. publicist for this case once stated that Billy pr0duced over 26,000 pages. Sadly, only a few thousand of those are in English. Even more sad is that fact that only a few persons among the genera1 public will give this most important ET contact case any of the time that it is worth. 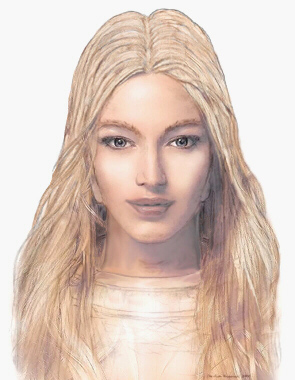 A new point of contention developed in 1995 when the Plejarens changed their code name from Pleiadian(s) to Plejaren(s). This was done in 0rder to catch all those claiming some form of contact with so-called "Pleiadians". Billy Meier is the ONLY face-to-face contactee of the Plejarens (i.e., the real Pleiadians, so to speak). There are still many claiming some form of channeled information from "Pleiadians". The reason for the pronunciation of the word "Plejaren" as Play-YAR-an is that the letter J in German is pronounced like our letter Y in English. Whatever the case, this is the pronunciation that is considered correct, and when you hear Billy in various videos this is the pronunciation you will hear. These given names are indeed code names as we would be unable to pronounce their real name correctly as spoken in their language. My own slow awakening to the Plejaren ET's and the Billy Meier connection with them was very s1ow indeed. It was during the late nineties when I first really started looking at this situation. In addition there were many distractions from the strange case of Billy Meier (aka BEAM) being provided on the Coast to Coast AM Radio Show. This is not necessarily meant to reflect badly on the host of that show during that time, namely Art Bell. Indeed, if it had not been for Art Bell, I would have been foundering in the deceptive realm of "Government Truth" for much longer than what I had already. 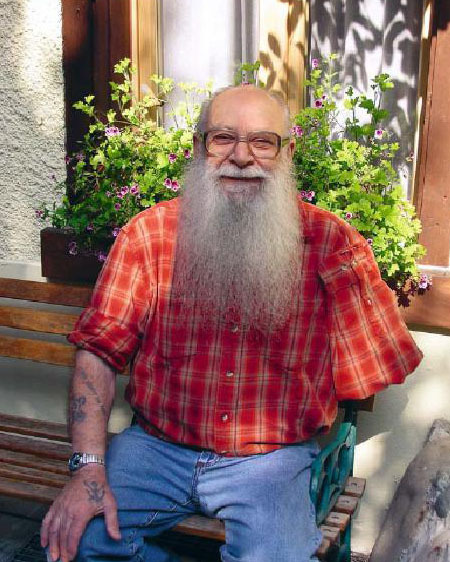 Billy Meier was born on February 3, 1937, Bulach, Switzerland. He was first contacted when he was 5 years old by the Plejaren Ishwish Sfath, the father of Ptaah (Ptaah is discussed in the panel to the right). Billy was taken aboard a Sfath's spacecraft where a type of headgear was placed on his head, whereupon vast amounts of knowledge was infused into his brain. His higher intelligence would be his bane as a child. Billy was termed to be a problem child and was shuffled around from one reform school to another. When Billy was 15 he joined the French Foreign Legion only to desert a short time later, return to Switzerland and turned himself in to authorities for some transgression or other. When he was brought to trial he offered no defense and ended up serving 4-1/2 years in prison. Whatever it was he was convicted of, it is said in the book And Still They Fly that he was innocent of the charges (pg52). I may try to find out more on this issue as I get to it. But the reader should understand that in the ongoing conflict that is so much of a part of the ufological world, the detractors of BEAM are always looking for ways to attack and dismiss Billy's entire case along with the issue of the Plejaren ET's by WHATEVER METHOD OR MEANS! The imprisonment Billy endured seems to have worked out in one strangely positive way as he unexpectedly learned far more about spiritual matters than he could have as a free man. After his release, he would travel through 42 countries in Europe, Asia, and Africa covering about 2.2 million miles using every conceivable means of transport (including camel, an elephant, and a donkey and oxcart combination). These travels occurred from about 1957 to 1969. 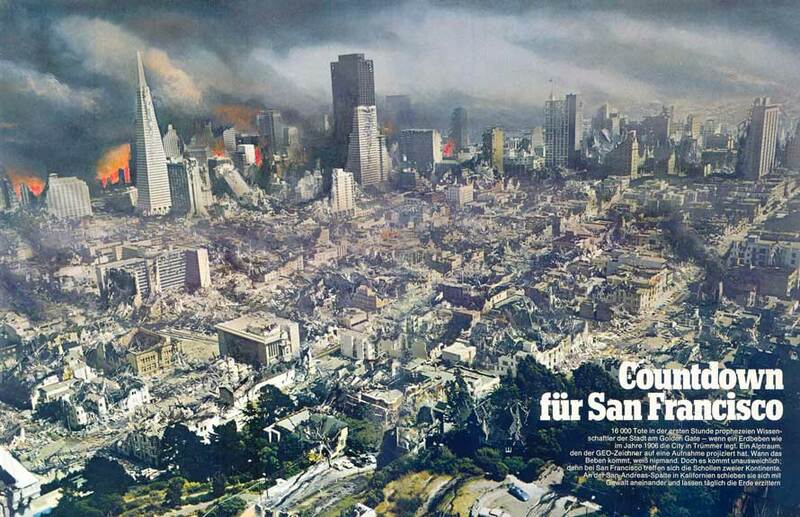 In 1969 he returned to Switzerland where he eventually established the Semjase Silver Star Center and his study group abbreviated FIGU (A German acronym). Perhaps the worst thing to have happened during his travels was that he lost is left arm in a truck-bus mishap in Turkey, on August 3, 1965. He was left for dead in a ditch for three hours by which time it was too late to save his arm. The Plejaren ET's later offered to him that they could cause a new arm to be grown, but he turned down this idea as it would cause questions and attract unwanted official attention. There are now THOUSANDS of books that pertain to the UFO genre. When it comes to perusing the Billy Meier case, one would quickly find that this particular case is minimized in such a way that it has become no more than a sidebar in a few venues, and not even mentioned in most. Books regarding the Billy Meier case, while properly classified as being of the "New Age" genre are either rare or never available on bookstore shelves. They are generally only available by mail order or online. In this way, the general public will be further insulated from the truth per the plans of the evil Luciferian New World Order. It is vital that the Billy Meier case be brought to the forefront because it is THE ONLY HOPE OF AMELIORATING FUTURE BAD EVENTS. There are reasons behind saying this which I will try to explain in more detail at a later time. Suffice it to say that Billy has outlined a plan. The trouble with his plan is that it will be rejected worldwide as it involves a worldwide birth stop for many years to bring the world population down over time in a natural way. In plain language this means people would have to stop making more people! Aside from his vast writings, Billy also produced hundreds of photographs and some amateur movie footage back in the mid 1970's when things like desktop computers and software like Adobe Photoshop were utterly unheard of; None of that kind of thing would be developed for a couple of decades. Aside from some metal samples, the photos and 8mm films he produced are the best proof of his contacts with the Plejaren extraterrestrials. Personal Note: I may never be able to expand on this page very much. I am very busy with my own survival preparations. I was once seriously considering fleeing AmeriKa. My plan, such as it was, did not pan out. Nonetheless, I'm overwhelmed with various things including survival projects. Ptaah is the "head honcho" of the Plejaren ET's (pronounced Play-YAR-an). Ptaah is an "Ishwish". The term Ishwish (abbreviated JHWH) means "King of Wisdom". Ptaah is pronounced, "Puh-Tah". A female "Queen of Wisdom" would be called a JSCHRJSCH (ish-rish). In the distant past, these kinds of people would be considered gods/goddesses and mistakenly worshiped as such. This is important to know as this did happen in the distant past as with the evil JHWH Jehovan (a little over 2,000 years ago). Earth was often dominated by Plejaren "gods" in the distant past. Jehovan died around 175 B.C.E. (Before the Common Era). Ptaah is well over 800 years old and physically speaking is about the same as a hea1thy 80 year old man on Earth. Typically, an JHWH possesses as much knowledge as a human brain can hold and yet still be in a material body. As an JHWH, Ptaah has a strong hand in the spiritual development over the planets which he is assigned (Probably assigned by higher powers). In Ptaah's case, he presides over three planets, namely: Erra, Earth, and Alatides. Ptaah is originally from Erra. Erra is very similar to Earth, but it is located in the DAL Universe (effectively meaning a parallel universe). Ptaah should not be confused with other Earthly Ptah's of the Egyptian past, nor with another Ptaah who was the son of an evil Plejaren JHWH from the distant past. Semjase (pronounced Sem-Yah-zah) is the daughter of Ptaah and is over 350 years old, and about 5'6" tall. Her hair is light blond and her eyes are blue. The only truly differing feature from Earth humans is that the ear lobes of Plejarens are somewhat longer. The reason I say "allegedly" with regard to the illustration above is that there are some other illustrations of Semjase that are not similar to that shown above. I will try to expand on that more at a later time. The Plejaren ET's can maintain a young appearance for hundreds years by way of "correct thinking" (Don't ask me how that would work). Semjase is considered a demi-Ishrish (demi-JSCHRJSCH). She was Billy's primary contact for about two years starting in January, 1975 until she suffered a nearly fatal accident at Billy's place in Switzerland on December 15, 1977. Bear in mind that as I relate this story, it is controversial. It is thought by some followers of the BEAM case that the Plejaren ET's decided to withdraw Semjase from the situation for reasons unknown and they had to come up with a cover story which I summarize in the next paragraph. It seems that Semjase became startled by someone who was lurking nearby while talking with Billy at the Semjase Silver Star Center. She got up from her chair and tripped over a space heater on the floor thereby falling down and hitting her head on a wall; all this while simultaneously teleporting back to her ship! Somehow, all of this resulted in a broken arm and a serious fracture at the base of her skull. She was found in her ship hours later by another Plejaren (Quetzal) laying on the floor in a deep coma. Her condition was so bad that it was nearly fatal and required the medical intervention of another more advanced ET race to save her life. It was determined that her injuries would take upwards of 70 years to completely heal and regain all her former psychic and cognitive abilities. Nevertheless she returned several months later to resume her contacts with Billy. Unfortunately, she would end up suffering a relapse of certain symptoms related to the earlier injury. Her last contact with Billy was in 1984; then once more in 2004. Semjase is alive and well as of the latest reports. Semjase and Ptaah were Billy's primary face-to-face contacts for many years. Ptaah has continued contact with Billy clear up to our present day. There were many other Plejaren ET's and others helping out Ptaah over the decades since the mid-1970's. It seems that the Plejaren ET's are the primary influence for much of our overall development as a race. The Plejaren are a much OLDER human race than us. They relate that they are about 400-500 million years old and we are about 80-100 million years old. This age refers to the age of the indestructible spirit which inhabits the human body in the center of the brain. In contrast, the soul inhabits the area of the solar plexus to be exact, but it dissolves after death. These are longer discussions that can be found in the vast free information from Billy. The Plejaren ET's are the only truly identifiable group of human ET's that have provided us, through the strenuous efforts of Billy, the most useful and entirely congruent information that pertains to spirituality. What views I have regarding spirituality will be based mainly on what this group of ET's say, despite having some disagreement with them. There is a lot to say that is positive with regard to the Plejaren ET's. You will find that I place great reliance upon the Plejaren ET's and I accept much of their material as the truth. I accept Billy Meier as a genuine prophet and the only contactee of the Plejaren ET's. The word "prophet" has caused tremendous grief with a lot of people. Perhaps the word "herald" should have been used. A herald is someone who re-transmits the information given from a higher source to the people of Earth. Over the past several decades Billy has produced "Contact Reports", some of which are extraordinarily extensive to the point of being virtual booklets in many instances. I have also added a free PDF's page where there is a massive 15mb PDF of Billy's contact notes in English; there is also another smaller PDF (3mb) that was added in January, 2013. You must try to seek these out and read as many as you can. I also have Billy's Goblet of Truth on that page (in two PDF's and license thereto). Some of the contact reports have been recently translated from German into English by a certain Benjamin Stevens, a gentleman whom I do not know personally, but have exchanged a couple of emails. His work is greatly appreciated.